Stuart Kay, director of Cambridge Medtech Solutions, was a panel judge at last week’s ‘Health Hack’. 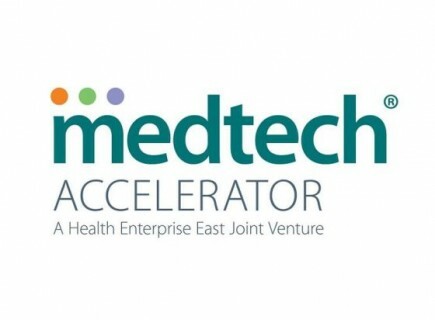 This event was the latest in a series of workshops organised by Medtech Accelerator in partnership with the Eastern AHSN and Health Enterprise East. Health Hack is a two-day intensive event based on a theme. Recent themes have been Rehabilitation, Surgery and Patient Safety. It provides a platform for NHS clinical innovators to work with industry experts to help develop their ideas for innovative solutions in medical technology, including devices, diagnostics, software and eHealth. Participants include clinical stakeholders, NHS experts, product developers, academics and business consultants. After an open call for innovations, with the potential to meet unmet clinical needs and generate commercial benefit, several individual ideas are shortlisted. Each innovator has the opportunity to shape their idea with the support of a team of experts and to refine it ahead of presenting to a panel of judges. The winning idea is given the opportunity to present to Medtech Accelerator Investment Panel, with a chance of winning up to £125,000 of funding to develop the idea. “I’m passionate about developing new medical devices which can improve patient outcomes and help healthcare providers” commented Stuart. 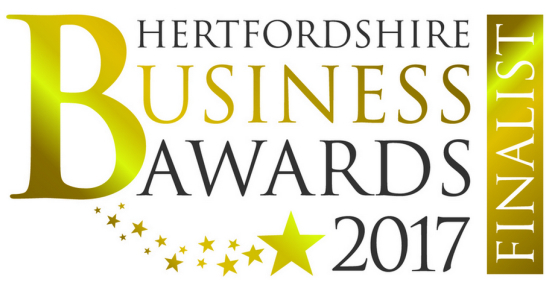 Cambridge Medtech Solutions has been shortlisted as finalists in both the ‘Commercial Business in the Community’ and ‘Social Enterprise Award’ categories in the prestigious Hertfordshire Business Awards. Hosted in conjunction with KPMG, the awards are given to outstanding businesses which are visionaries and leaders in their specific field; celebrating excellence, quality and innovation. As experts in medical device development, CMS have been recognised for our free Zephyr Guide app for asthmatic and COPD patients with ‘press and breathe’ inhalers. The team working on the project put in a lot of hard yet creative work, and have delivered an app of exceptional quality. It has been warmly welcomed by patients, carers, doctors, nurses and pharmacists. As a young engineer, I started my career in production engineering, and was introduced to the works of Shigeo Shingo. I was soon hooked by his books on the Toyota Production System, Just-in-Time Manufacturing (JIT), Poka-Yoke (mistake proofing), SMED, Muda (waste) and much more. Through his books, I read about the improvements developed and introduced at Toyota by Taiichi Ohno (considered the father of the Toyota Production System); and I was inspired to work in Japan and learn more. Many years later, these ‘lean‘ lessons have stuck with me, and are foundation bedrock for the way I approach the design, development and industrialisation of medical devices. 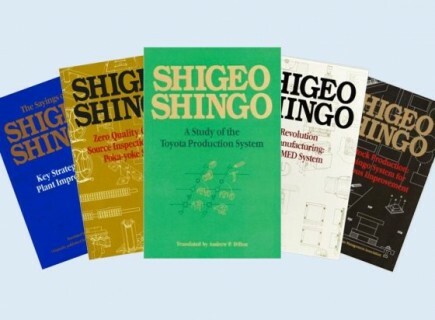 I heartily recommend the Shigeo Shingo books to any engineer and designer, of all disciplines! 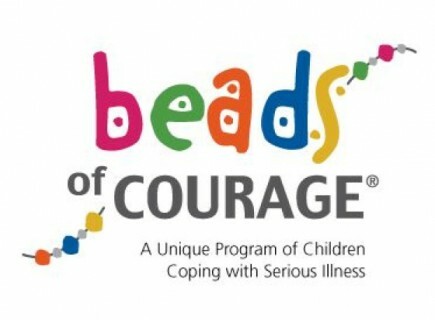 The Beads of Courage programme is designed to provide an additional treatment and offers support for children and teenagers undergoing serious illness and treatments. The initial reaction to the Beads is “aren’t they pretty” but it is not until you see it in action and talk to children and care givers that you can see the impact that they have. 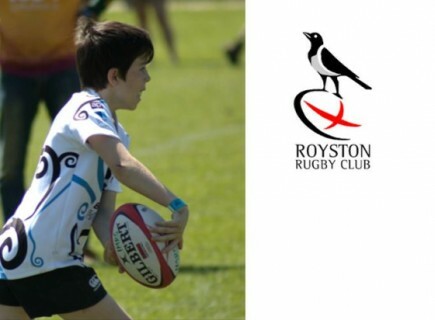 This programme supports over 20,000 children in the US, UK, Japan and New Zealand and has been evaluated over the past 8 years. Major benefits of the programme are that it helps to decrease illness-related distress, increases the use of positive coping strategies, helps children find meaning in illness and restores a sense of self in children coping with serious illness. The Beads of Courage programme also provides something tangible that a child can use to tell family and care-givers about their experience during treatment. The beads also help explain to teachers and friends what has happened to them whilst they have been away from school. Parents of younger children enrolled in the programme can use the beads in the future to explain to their child what they have been through. Cambridge Medtech Solutions recently supported the “Dancing with Butterflies” performance by the Lisa Rusay Dance School, at the Mumford Theatre in Cambridge. 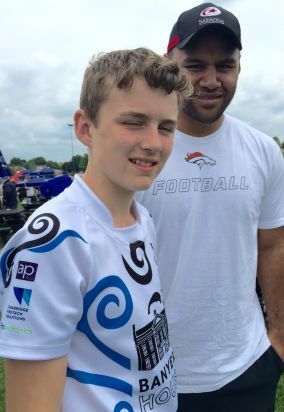 It raised money for the Beads of Courage Programme at Addenbrooke’s Hospital. Cambridge Medtech Solutions has recently collaborated with the MoTI Project, involving team members from the Judge Business School and the Institute of Biotechnology, University of Cambridge. 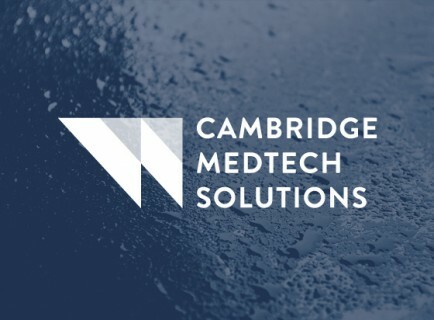 Cambridge Medtech Solutions has developed a medical device app for smartphones and tablets, and worked with the team to carry out an extensive assessment of the market landscape and to explore potential commercialisation strategies. 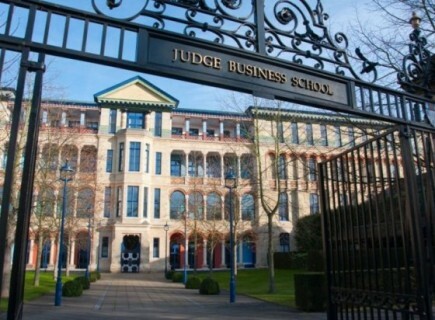 The Judge Business School is consistently ranked as one of the top global business schools, and is particularly strong in entrepreneurship and innovation management. The Institute of Biotechnology is an internationally renowned centre of excellence. It is a unique entrepreneurial organisation within the University of Cambridge, targeting its research at the interfaces of the biological, chemical and physical sciences. Excellent! You’ve made good progress with the whole organ perfusion / tissue engineering protocols, and now you are ready to proceed with the development of a more advanced bioreactor. Whether is it for on-going clinical research or it is the final system, you need to start the conversation with the systems engineers, who will add a different perspective as you all work towards a robust and capable outcome. This might contain multiple starts, intersections and endpoints – for example, a biologically-derived scaffold recellularised with the recipients own stem cells, using a growth medium – and there are typically more questions than answers when first discussed. To enable this, we recommend the preparation of the outline Target Product Profile (TPP) at an early stage in the clinical research / development programme, which considers the therapy, the efficacy, how the therapy is to be deployed and used, who makes the decision to use the therapy (and based on what evidence), and what the ideal claims would be. The TPP embodies the notion of beginning with the goal in mind, and establishing it often results in a clear understanding of the regulatory pathway, and the standards and classifications that need to be met. Mapping out the pathway will also help the whole team (clinical, engineering, commercial) to visualise and develop a common understanding of what they expect and want, to challenge assumptions, and to identify operational constraints (tissue and fluid availability, technology availability, cost, size, weight, staffing levels, physiological limits of the therapy, and operational limits of the system). In time, this will enable the preparation of the User Requirements Specification and the Product Requirements Specification. Risk assessments are not just an essential component of any system or therapy development programme – they can also be a very effective design input, and can help with the organisation of the pathway. The challenge is that many of the standard tools and techniques used are time consuming, and are based on a single snap-shot of the design. Unfortunately, this does not fit well with complex systems such as tissue engineering bioreactors that are progressing through a rapid development programme. We favour the use of a ‘real-time’ risk assessment approach that is quick, efficient and effective. Crucially, it should also enable risk control interplay between electro-mechanical and software elements, and is consistent with the relevant directives and standards such as ISO 14971:2012 and IEC 62304. Testing is an area of systems engineering that is too often compromised due to the lack of samples, systems or time. It can also be compromised by only testing up to the design limits, rather than the likely operational stresses of everyday use which can combine in unexpected ways to cause a system to fail. Multiple environment over-stress testing (MEOST) is a complex but powerful technique for testing combined interactions of all stresses, where the primary objective is to find the failure modes so they can be addressed. It can also be used to compare the robustness of two systems or design iterations. Experience shows that this approach is quicker and cheaper than traditional testing, less prototypes / systems are required, less tests are carried out, but more failure modes are identified. This approach is not just limited to systems engineering and reliability engineering – it can also be used to evaluate the robustness of some therapies as well. Reducing healthcare costs, whilst providing optimum levels of patient care, has consistently been a priority for healthcare leaders for the past few years, and is expected to continue. Whilst the health economics of the different regenerative medicine / tissue engineering approaches are yet to be fully understood, it is recognised that costs need to be aligned with mainstream healthcare reimbursement systems. Therefore, until the models can be validated, you should be pragmatic and look at every opportunity to reduce the costs per therapy. In our experience, the biggest savings can be achieved by avoiding expensive consumables (fluids, functional components and sensors), simplifying the design of the disposable set, avoiding the need for active thermal control during transport, and minimising the staffing resource required (peak and FTE). 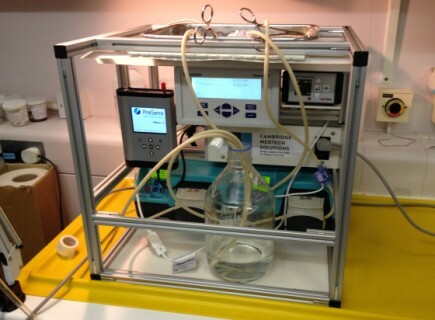 These are some of the key considerations for any tissue engineering bioreactor system – for perfusion or persufflation; biologically-derived or synthetic scaffolds; decellularised (decellularized) or recellularised (recellularized); whole organs or ATMP; hypothermic, normothermic or hyperthermic – and you should start considering them as early in the development process as possible. Overall, it is easier to consider these matters at the start, and to mitigate against issues that can be challenging, costly and time-consuming to resolve later in the development programme. Many of us enjoy a challenge – whether it is solving a puzzle, learning a musical instrument, or a bit of trouble shooting. We develop medical devices! The Longitude Prize 2014 is a new science and technology challenge with a £10 million prize fund for an innovation that will solve one of the major problems of our time, and we can help to decide what the challenge should focus on. It is 300 years since the Longitude Act of 1714, which offered a prize of £20,000 to anyone who could devise a method to accurately determine a ship’s position at sea. It was won by John Harrison with his H4 marine chronometer – it is a fascinating story, and is a great example of robust and capable engineering. The winning idea will probably be the result of international collaboration – and we expect this challenge to be the ‘seed’ for many other exciting new ideas and technologies which will change the world for the better. Cambridge Medtech Solutions is supporting Headway Cambridgeshire with their ambitious and exciting new ‘Mind Your Head’ campaign. Headway Cambridgeshire, in partnership with the National Institute for Health Research (NIHR) Brain Injury Health Technology Cooperative, hopes to inspire people to come up with new ideas for products and services which would improve patients’ quality of life – or prevent brain injury in the first place. ‘Mind Your Head’ includes elements of BBC shows The Apprentice and Dragon’s Den, as teams of ‘solvers’ devise and pitch innovative solutions to the dangers and challenges of head trauma. Brain injuries can occur from various causes – including road, work, or sports accidents, assaults, falls or strokes – but the effects are long lasting; including loss of movement to issues associated with hearing, sight, speech, memory and concentration as well as emotional problems. 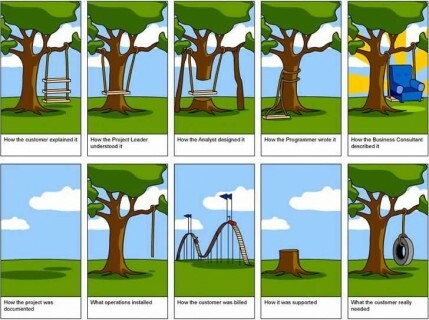 Once you have established your User Needs, the Product Requirements Specification (PRS) is a technical statement of what everyone on the project team is aiming to deliver, across the whole spectrum of the project, and what the final design will be verified against. It is much more than simply a list of product function and performance requirements, and is therefore a very detailed document. 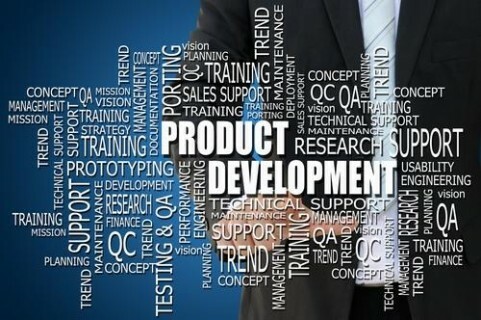 As with most aspects of a medical device development programme, there is no single ‘one size fits all’ solution for how to manage a Product Requirements Specification, but there are some good options. Here at Cambridge Medtech Solutions, we have a preference for using the Total Design elements by Pugh. These elements have been used very effectively on a wide range of projects over many years – although it is worth noting that in some projects, some of these elements aren’t applicable. How does this list compare with what you consider and include in your specifications? If you would like to know more about how to capture, understand and document your Product Requirements Specification, please contact us to discuss. New medical device development company launched today.